Site about fashion, architecture, restaurants, travel and other aspects of life in good style. 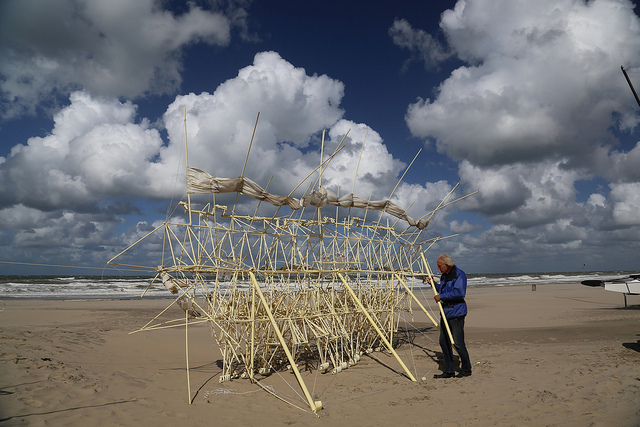 A physicist Theo Jansen makes an unusual mixture of science and art, creating complicated mechanisms moved by the wind. They look so phenomenal, that should be a must on the list of things to see while visiting the Netherlands! At first glance, these kinetic sculptures resemble huge, majestic animals, and from a distance they look quite lifelike. 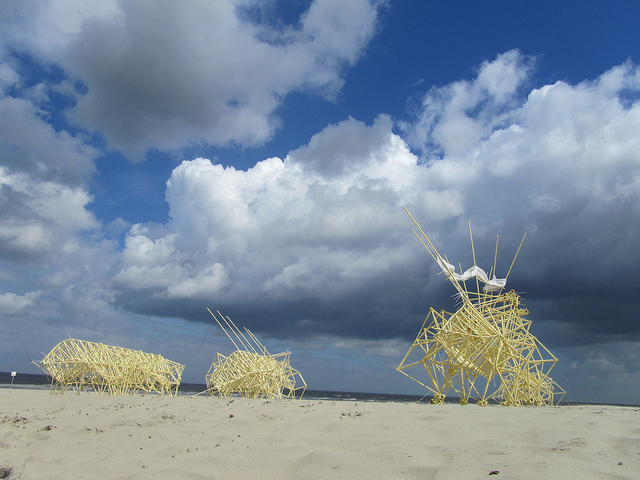 Theo Jansen structures consist of a thin plastic tubes and bottles lemonade connected in such a way that their movement is enough wind force. Creation arise from … twenty-six years! 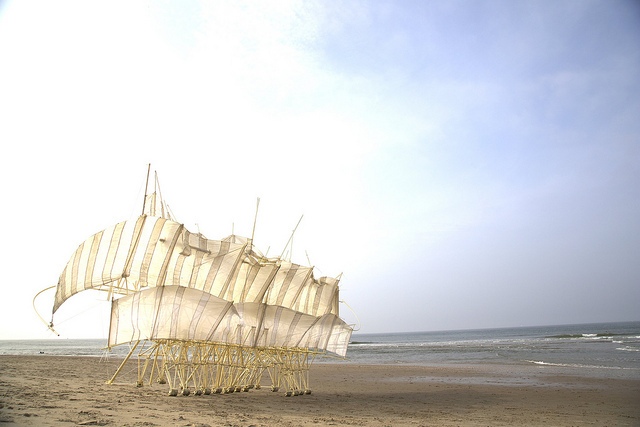 You can see them on the Dutch beaches – the best in their testing large, flat surfaces. A walk along the beach is like a journey to another planet! They are designed not just to make yourself move, but also to survive regardless of human and – as the artist desires – in the future, simply inhabit beaches. Theo calls them “new forms of life,” or new forms of life. All they are moving sideways, like a crab, and “nose” are always directed toward the wind. As explained Theo, they do not need food – derive energy from the wind, so they are completely self-sufficient, while Deceptively real, living organisms. If you want to hear themselves as artist talks about his magical creatures, a look of his lecture. What do you think about them? Please share your views on our Fanpage!